Expressing a desire for improved transportation safety on East Burnside Street, the Buckman and Kerns neighborhood associations and the Burnside East Business Alliance asked the Portland Bureau of Transportation’s High Crash Corridor program to partner in identifying potential safety improvements on East Burnside. Due to safety needs and strong community partnership, the HCC program responded by establishing an East Burnside Working Group to understand the crash data, and identify specific safety concerns and solutions. Speed reader board on E Burnside westbound around 30th/31st. Moving bus stops far-side at some marked crosswalks. Traffic signal changes at 20th, 28th and 32nd, such as pedestrian push buttons and leading pedestrian intervals. Posted speed reduction to 30 MPH. Consideration of alternative travel lane options. NOTE: Due to updated modeling projections, feedback will be requested on a few different travel lane configurations. Pedestrian median islands at select unsignalized intersections. Now we would like community-wide feedback on the potential projects. Please join us! For more information on the Burnside High Crash Corridor, please visit our website here. Block Party! Pollinator Habitat! Plant Swap! This Saturday (9/21) starting at 10am, there will be a block party SE 16th Ave. and SE Ash St. The traffic circle planting work party will start at 10am. Bring your kiddos and turn them loose on their bicycles! 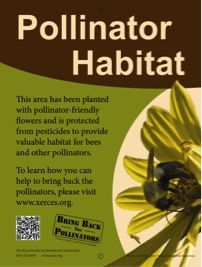 As you may know pollinator populations are declining due to herbicide and pesticide use and habitat loss. They are hard pressed to find habitat in the city and this space will add to the ‘quilt-work’ of attractive habitat for pollinators of all types. This is the first phase of establishing a wildflower meadow type habitat in that traffic circle, which means we will be eliminating competition from fast growing weeds and other plants. Wildflowers are slow to establish, particularly in the first year, and just can’t compete with noxious weeds and invasive species. Once established they will thrive on their own. The following Saturday, Sept 28th, we will move the block party to 14th and Pine’s traffic circle. Construction permitting, we hope to have a block party at 15th and Oak in October. If you are interested in this project please contact Jim Forristal at nwclassic@gmail.com for more info. You are currently browsing the Buckman Voice blog archives for September, 2013.